Lights, camera, action...and Mickey Mouse! This three-tier black and white wedding cake is one of the most extraordinary confections we've seen on the Wedding Cake Wednesday red carpet this season! 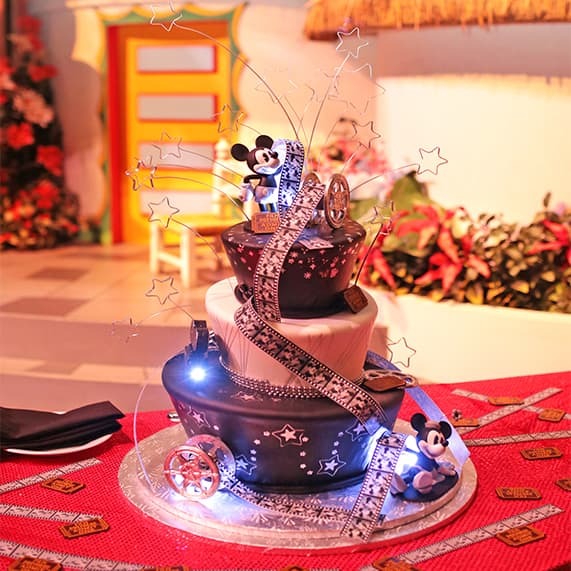 Accessorized with cameras, stars, tape roll and a movie reel cake topper this cake was born ready for its Hollywood moment.